The bicycle will always be my first love. 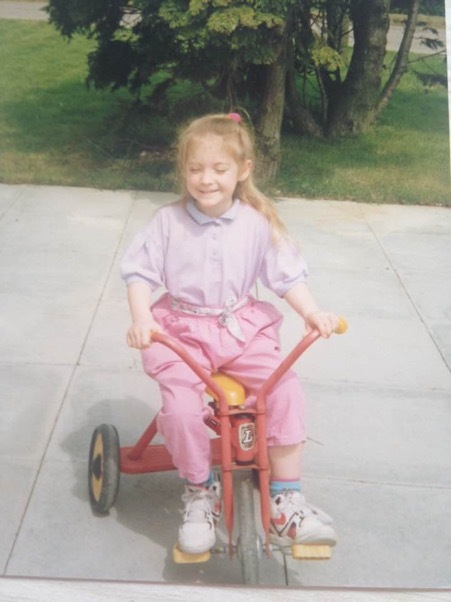 Growing up in Bury St Edmunds in Suffolk, my early memories are of exploring quiet country lanes with my beloved bike and as an adult I feel a deep level of affection towards my road bike. A bike to me is all that I love about sport – freedom, transport, headspace and a tool for building mental and physical resilience. As any cycle commuter will tell you, there’s huge value in getting somewhere under your own steam - even the smallest of journeys can teach you to appreciate things in a way that using motorised transport just can’t. 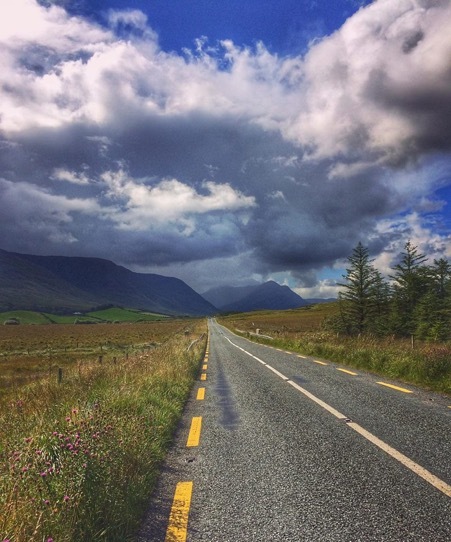 When I found myself with an invite to my uncle’s wedding in Ireland and a 4 week gap in my calendar – it seemed like the perfect opportunity to go for a little adventure with Dory (the road bike). The plan was simple enough – to follow all 2600km of the stunning Wild Atlantic Way along the west coast of Ireland and then celebrate with family having thoroughly earned my slice of wedding cake. On day 3, struggling to push Dory, newly decked out with panniers containing camping equipment and food, up an outrageously steep incline, I began to question my life choices. 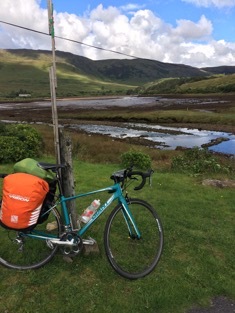 Having naively not researched the route in great detail in the 2 weeks of “planning” I’d done before setting off, I’d vastly underestimated just how hilly Ireland could be (very). Similarly, where those 2 weeks had consisted of only one 40 mile “training ride”, I was only managing to cover roughly half of my estimated mileage, with legs and lungs burning. It was, to say the least, a humbling first few days on the road. I was forever thankful for the gorgeous scenery that provided a welcome distraction. I was left breathless by the effort and speechless by the views. 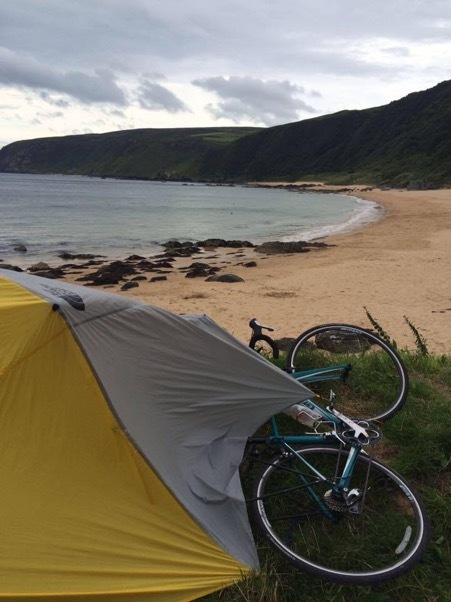 Soon enough I settled into the rhythm that comes with any endurance challenge – the tent began to feel like home, the sheep began to feel like neighbours and I found my cycling legs. The miles rolled by and every day the scenery seemed to compete with the scenery of the day before – I’m still unable to conclude on the winning section. Endurance adventures teach me to feel phenomenal gratitude for things we so often take for granted. There is no better tasting cup of tea than the one you have after battling against flooded roads, switchbacks and punctures all day. The exhilarating joy and unique relief of descending down hill after hours of agonisingly steep climbs cannot be bought and cannot be experienced from the comfort of a car - it can only be earned. Despite the headlines, adventures remind us that this world really is an overwhelmingly kind place – gifts of food, encouragement and shelter from strangers all just part of every day life on the road. Travel slowly enough and you are given an opportunity to fully connect to the landscape and the people that live there. There’s something priceless and timeless about the special sort of misery than an endurance adventure brings – long after achey muscles have recovered, there remains a lingering smile; a satisfied sense of fulfilment. Why would you travel any other way?